TEXTBOOKS are well bound to A4 &A5 size. Textbooks are included with fees. Diploma in Ministry students receive 23 textbooks which contain about 36 subjects and 6 other books to complete assignments. Diploma in Ministry students receive the same except that they are required to complete 31 subjects. 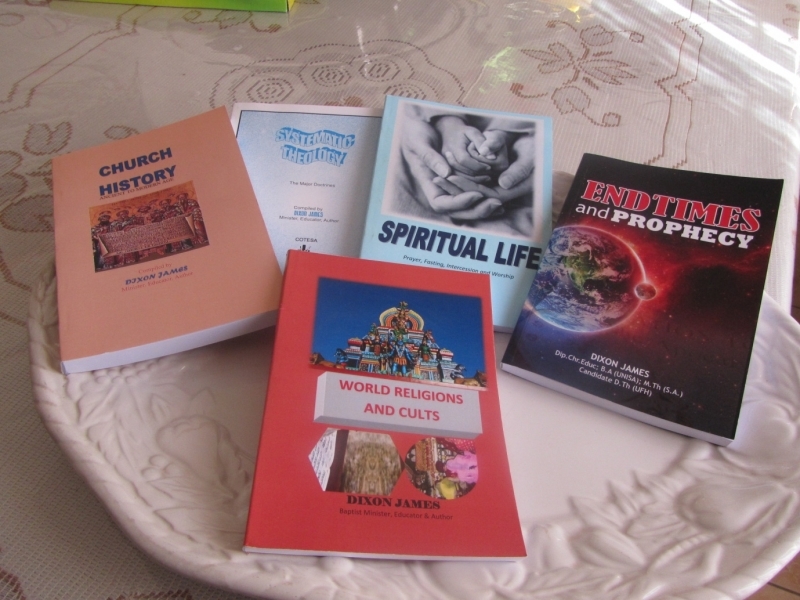 READING - A minimum of 3 Recommended books to be read with a book report for Systematic Theology; Spiritual Life; Biblical Studies; Christian Education; Practical Theology and Seminars. RESEARCH - Write a research paper for Systematic Theology. REASON- Give own view and opinion on debatable questions. ASSIGNMENTS SUBJECT TO CHANGE EACH YEAR.